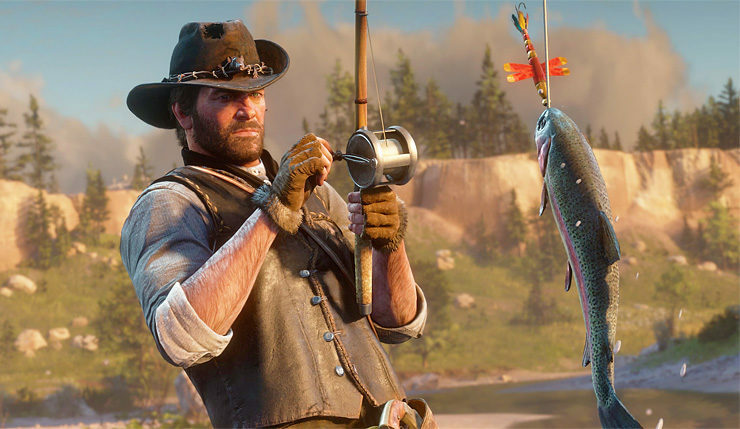 Red Dead Redemption 2, the new entry in the series developed by Rockstar Games, is now very close to release, and it seems like the game and the official guide are already in the hands of some lucky players. One of them shared some new information and details regarding the map. The images showcasing the Red Dead Redemption 2 full map have surfaced online on the Red Dead Redemption subreddit, with user tomcruise_momshoes putting the images together to give us a better look at it. As seen from the image, almost all of the Red Dead Redemption map is included in the sequel, not counting Mexico, which seems to not appear. Many of the Red Dead Redemption locations can also be seen on the map, like Macfarlane’s Ranch, Blackwater, Tumbleweed and Fort Mercer. With Red Dead Redemption 2 being a prequel, these locations will look different than how they did in the original game. A few days ago, the PC version of Red Dead Redemption 2 was being listed on Media Markt. It’s been later confirmed to us that the listing was just a placeholder. It’s true we had the RDR2 PC version listed. I checked this with the games department at our HQ and got told that it’s something of a placeholder and that they count on it being announced sometime in the future (just as with GTA V for example). It is no longer listed as available for pre-purchase, though. Red Dead Redemption 2 launches on PlayStation 4 and Xbox One later this week, on October 26th.